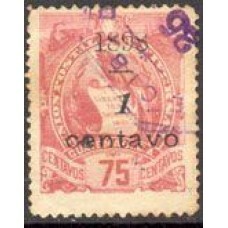 Y A-211/213 (1955) ROTARY/ MAPA CINQUENTENÁRIO DO ROTARY INTERNACIONAL - MAPA DA ILHA E EMBLEMA DO R..
Y 11+13+14 (1878) CABEÇA DE ÍNDIO - 3 SELOS USADOS DE SÉRIE DE 6 - CAT. 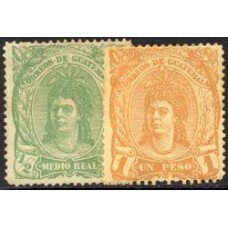 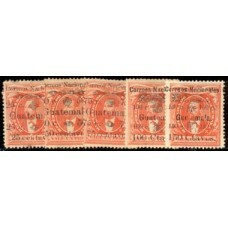 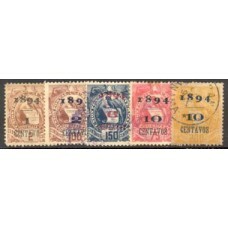 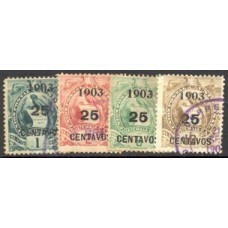 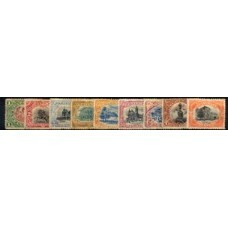 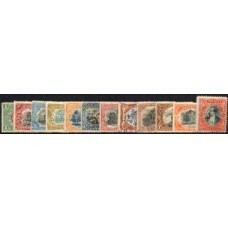 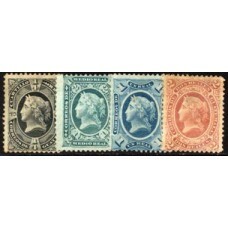 59 €..
Y 11+14 (1878) CABEÇA DE ÍNDIO -2 SELOS DE SÉRIE DE 6 NOVOS SEM GOMA- DE CAT.10 €..
Y 14 (1878) CABEÇA DE ÍNDIO - 1 SELO DE SÉRIE DE 4 -NOVO CATÁLOGO 7 €..
Y 43 (1886) QUEIXAL COM SOBRECARGA- PROVISIONAL 1886 1 UM CENTAVO - SELO NOVO 6,50 €..
Y 44/51 (1886-95) QUEIXAL - SÉRIE 8 SELOS USADOS -CATÁLOGO 15 €..
Y 52/56 (1894) QUEIXAL COM SOBRECARGA 1894 + NOVO VALOR - SÉRIE 5 SELOS USADOS - CATÁLOGO 50 €..
Y 56 ( 1894) QUEIXAL COM SOBRECARGA 1894 -20c SOBRE 200c - 1 SELO ( FECHO DE SÉRIE ) DE SÉRIE DE 5 -..
Y 27/31 (1886) EFÍGIE DE J.R. BARRIOS 1c VERMELHO- COM SOBRECARGA COM DATA 1886 E NOVOS VALORES - SÉ..
Y 27/31 (1886) EFÍGIE DE J.R. BARRIOS 1c VERMELHO COM SOBRECARGA COM DATA 1886 E NOVOS VALORES - TOD..
Y 105+106+107+108109+110+111+113(1900-1902) QUEIXAL - 8 SELOS DE UMA SÉRIE DA 9 - USADOS E NOVOS - C..
Y 92 (1902) SELO FISCAL COM SOBRECARGA PARA USO POSTAL CO-RÉUS NACIONAIS 2c SOBRE 1c. 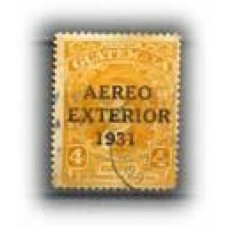 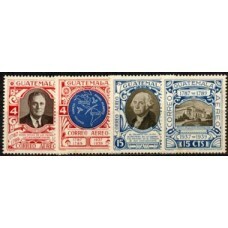 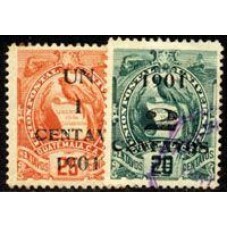 AZUL - NOVO - ..
Y 92 (S1902) SELO FISCAL COM SOBRECARGA PARA USO POSTAL CO-RÉUS NACIONAIS 2c SOBRE 1c. 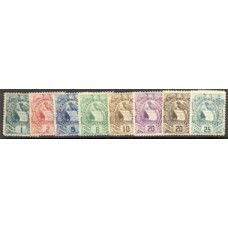 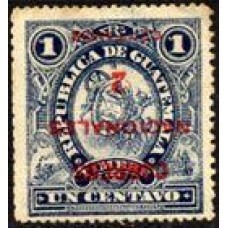 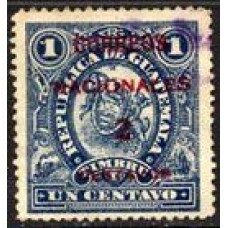 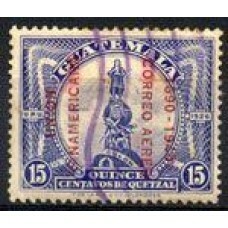 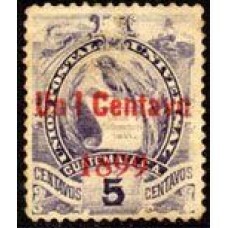 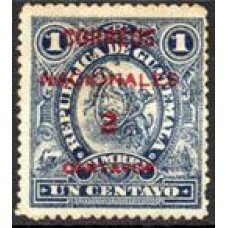 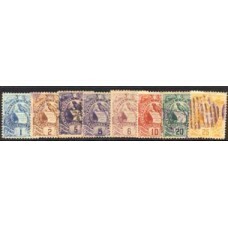 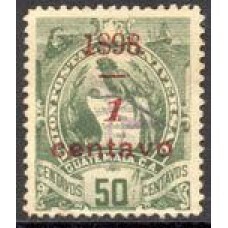 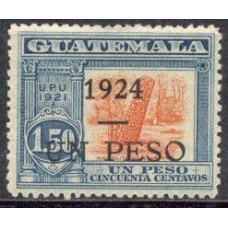 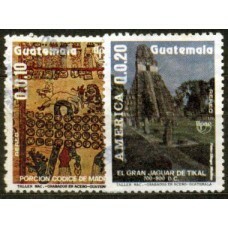 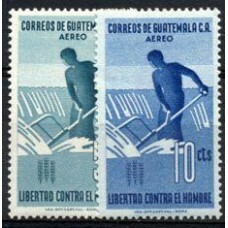 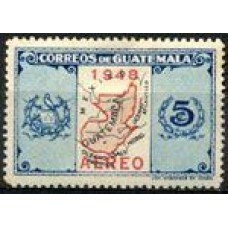 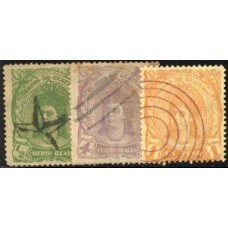 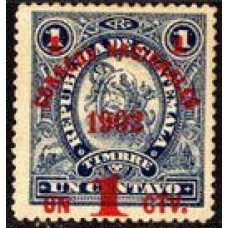 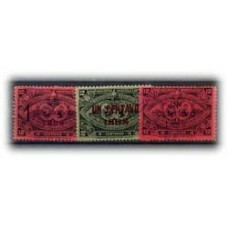 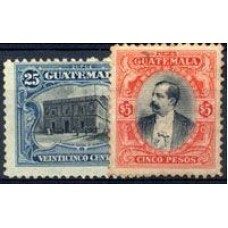 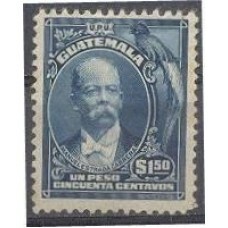 AZUL - USADO ..
Y 82 (1898) QUEIXAL COM SOBRECARGA - 1c SOBRE 50c VERDE OLIVA , NOVO - CATÁLOGO 6 €..
Y 103 (1899-1900) QUEIXAL COM SOBRECARGA - 1c SOBRE 5c VIOLETA - NOVO..
Y 83 (1898) QUEIXAL COM SOBRECARGA 1c SOBRE 75 C ROSA USADO - CAT. 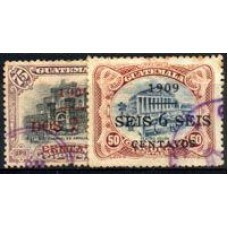 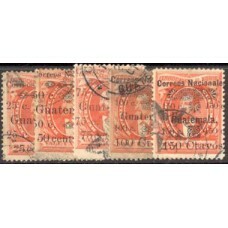 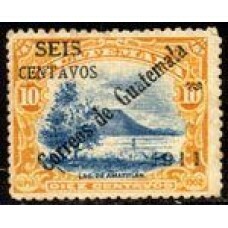 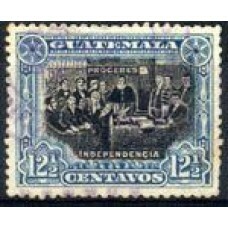 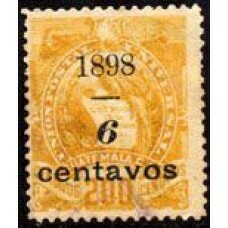 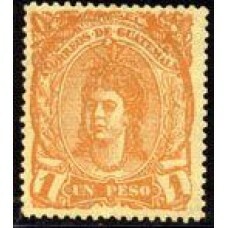 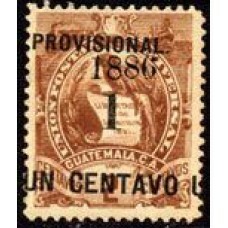 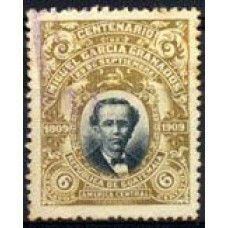 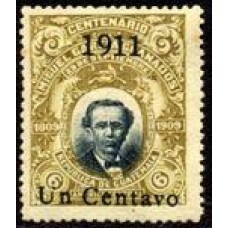 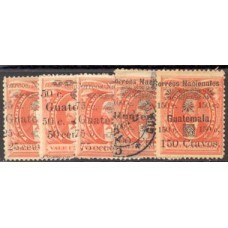 7 €..
Y 89 (1898) QUEIXAL COM SOBRECARGA 6c SOBRE 200 C.OCRE - NOVO -CAT. 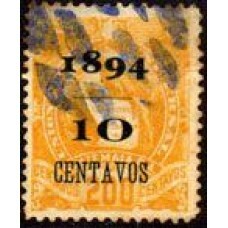 10 €..
Y 115+116- (1901) QUEIXAL COM SOBRECARGA - 1c SOBRE 25c LARANJA NOVO- E 2c SOBRE 20c VERDE USADO - ..
Y 117 (1902) SELO FISCAL COM SOBRECARGA CO-RÉUS NACIONAIS 2c SOBRE Ic AZUL - NOVO - CATÁLOGO 3 €..
Y 120/129 (1902) PAISAGENS E MONUMENTOS SÉRIE 10 SELOS USADOS - CAT.3,50..
Y 120/126+128+129(1902) PAISAGENS E MONUMENTOS 9 SELOS DE UMA SÉRIE DE 10 USADOS..
Y 130+131+132+133 (1903) QUEIXAL DE 1886-1900 COM SOBRECARGA 1903 E NOVOS VALORES - 4 SELOS DE UMA S..
Y 7/10 (1875) FIGURA ALEGÓRICA DA LIBERDADE - SÉRIE 4 SELOS NOVOS SEM GOMA E COM CHARNEIRA - CATÁLO..
Y 137 (1907) DECLARAÇÃO DA INDEPENDÊNCIA EM 1821 - SELO USADO..
Y 145/146 (1911) AGENCIA CENTRAL DOS CORREIOS E M. ESTRADA CABRERA - SÉRIE 2 SELOS USADOS..
Y 144 (1910) CENTENÁRIO DO NASCIMENTO DO GENERAL MIGUEL GARCIA GRANADOS - SELO USADO..
Y 141/142 (1909) SELOS DE 1902 COM SOBRECARGA - 2c SOBRE 75 c E 6c SOBRE 50c - SÉRIE 2 SELOS USADOS ..
149 (1911) SELO DE 1910 - MIGUEL GARCIA GRANADOS - 1c SOBRE 6c BESTAI OLIVA- SELO NOVO 35 €..
Y 161 (1918) PRESIDENTE M. ESTRADA CABRERA - E QUEIXAL - SELO NOVO ..
Y 148 (1911) SELO DE 1902 COM SOBRECARGA- 6C SOBRE 10c LARANJA EM DIAGONAL - SELO NOVO -CATÁLOGO 3 €..
Y 76/78 (1898) SELOS DE 1897( EXPOSIÇÃO DA AMÉRICA CENTRAL ) COM 3 SOBRECARGAS DIFERENTES - SÉRIE ..
Y O- 6/12+50/18 (1912) SELOS DE 1902-1911 COM A PALAVRA OFICIAL ESCRITA COM LETRAS PERFURADAS - 12 ..
Y 204 (1922) SELO DE (1921) SELO DE 1,50 MONOLITO DE QUIRIGUA COM SOBRECARGA DE UM PESO - NOVO..
Y Ae-159 (1948) SELO 1939 -: MAPA DA GUATEMALA COM SOBRECARGA AEREO - SELO NOVO..
Y A-24/25 (1935) SELOS DE 1909 5c PERSONALIDADE E 15c MONUMENTO DE COLOMBO COM SOBRECARGA AEREO EXT..
Y A-288/289 (1963) CAMPANHA MUNDIAL CONTRA A FOME SÉRIE 2 SELOS NOVOS A GOMA MEIO AMARELADA - SÓ E..
Y A-12 (1931) SELO DE 1929 4 C. AMARELO ( PERSONALIDADE ) COM SOBRECARGA AÉREO EXTERIOR 1931 -..
Y A- 829/ 830 (1989) SÉRIE AMÉRICA -UPAEP- UNIÃO DAS AMÉRICAS, ESPANHA E PORTUGAL - SÉRIE 2 SELOS ..
A-87/90 (1938) 150º ANIVERSÁRIO DA CONSTITUIÇÃO GEORGE WASINGHTON , ROOSEVELT, MAPA E PALÁCIO DA UNI..